Writing from words to sentences is some what difficult. Learning vocabulary should leads to write phrases. In my previous post " Spin it, Read it, Colour it," I prepared a activity circle chart and used for identify the vocabulary only. And that was the starting unit in our textbook. 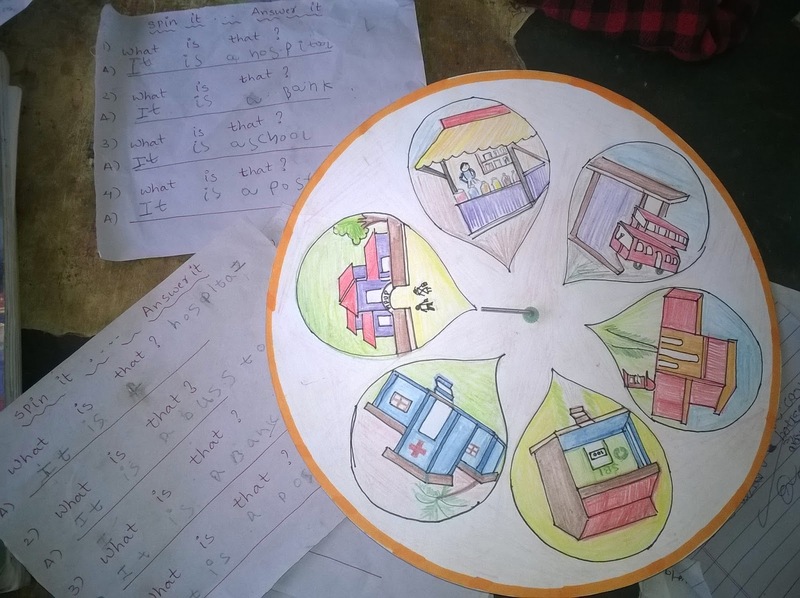 Now in this unit I prepared same type of activity circle chart with different language words which are there in that unit. While teaching this unit or language task I asked my children "What is that? "They gave answer in a word like Bank, hospital...etc. At that time I taught my children to say the answer for this question like "It is a Bank." " It is a hospital." 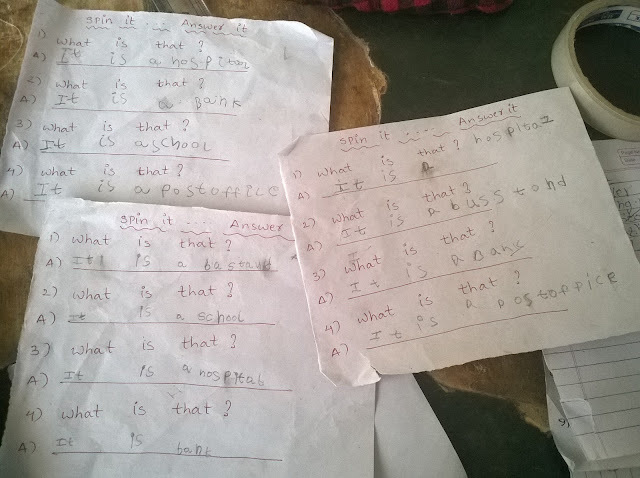 I wrote these question and answers on the balckboard and made my children to identify the each word in that. I planned an oral activity to say this answer about other things like " It is a pen.". You can see the video of this activity in my previous post "Oral discourse of a language task "What is that?"". After learnt the spellings of all these words I gave above own made work sheets and that chart. Now I instruct my children to spin the chart and write the answers until complete the worksheet. They done it very well and enjoyed a lot.